Binance, the world’s largest crypto asset exchange, will have its headquarters located in Malta. Originally it was launched in China but plan to move to Malta in 2019. Even though the exchange was launched only in 2017, it has gained the trust of millions of investors and quickly became the leading cryptocurrency exchange in the world. At the time of writing, Binance is not registered with any legislative board. Still, it is considered a trustworthy exchange because of the extra steps, like anti-phishing code, PCI Scanning, Secured Sockets Layered encryption technology, pseudonymisation, internal data access restrictions, and more. These aim to protect the customer’s funds and personal informal from unauthorized personnel. 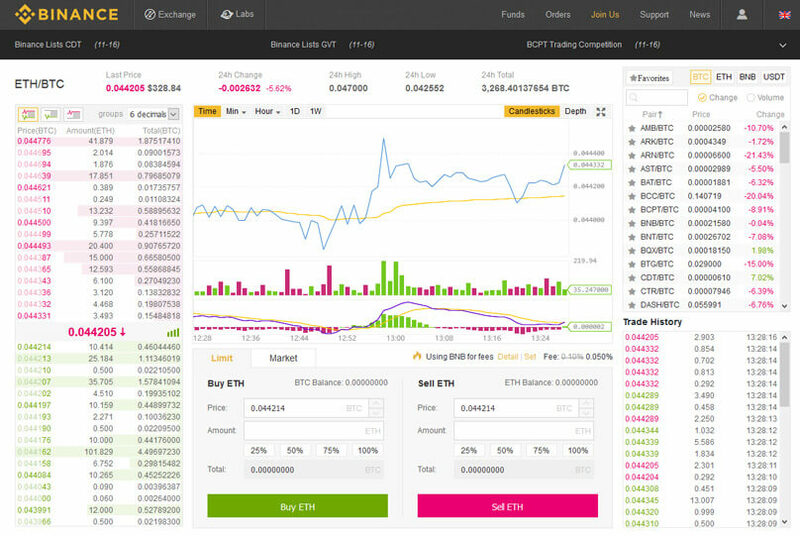 Binance is popular among novice and serious traders alike as it offers different trading screens. For professional traders, it provides advanced trading techniques like margin trading, whereas the inexperienced traders can quickly exchange any cryptocurrency for BTC or ETH to hundreds of popular tokens and coins. This Binance review will analyse several aspects to provide you with an all-rounded detailed overview of the exchange and its services. Although Cryptimi does its best to provide you with accurate information and updates it on regular basis, we strongly recommend you to visit Binance.com for any updates which might occur afterwards. Yes. Binance is considered a safe place to exchange cryptocurrencies. It protects the account of its users using 2FA (Two Factor Authentication) so that it is almost impossible for the hackers/fraudsters to steal information. In addition to that, users can also set a unique anti-phishing code to differentiate between the genuine and the fake emails which are sent by phishing websites. Binance processes the withdrawal requests only after getting confirmation from the user via email. Binance is considered as a centralized cryptocurrency exchange broker as it deals with only crypto-based assets such as Bitcoin, altcoins or ICO tokens. Users can quickly exchange their cryptos without even submitting any documentation to verify their account. Unverified accounts however have a limit on the withdrawal of 2BTC/24hrs. When compared with other exchanges, it charges only a nominal fee of 0.1%. Users are eligible to get further discounts if they are holding the Binance Coin (BNB). Binance provides a wallet service to deposit your coins, however, they will not provide you with the private key, but only with your public address key. Recently, Binance exchange has acquired the popular Trust Wallet which can be used to store ERC20 tokens. However, this wallet has not been integrated on the Binance trading platform at the time of writing. With the Binance exchange, it is possible to buy altcoins or any token only after depositing cryptocurrency into your account. Visit their official site and click the ‘Register’ link located on the top right of the page. Enter your email, password and click the Register button after agreeing to the terms. Within a few minutes, you should receive a confirmation email from the Binance team. Click the ‘Verify Email’ link on that email, or paste the link address on your browser to activate your account. Congratulations! You have successfully created your account on the Binance exchange. 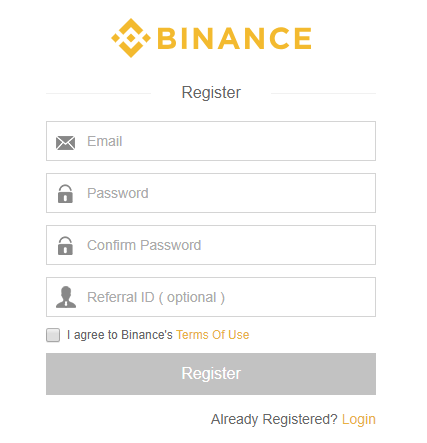 Navigate to Binance.com and click the ‘Log In’ link located on the top right of the home page. Enter your email address, password and click the ‘Log In’ button. Because of the phishing scams, Binance displays a message requesting you to double check the URL you are visiting. Complete the captcha to log in to your account. For the first-time login, Binance exchange displays a message to enable 2FA for your account. You can follow the instructions to set 2FA immediately or click the ‘Skip for now’ button to do that later. We highly recommend setting up 2FA for safekeeping. Users don’t have to submit any documents to trade cryptocurrencies from the Binance exchange. The non-verified account holders (Level 1) can withdraw only 2 BTC per 24 hours whereas the verified account holders can withdraw 100 BTC per day. To verify the account and move to Level 2, users must submit any one of the documents like government-issued ID, passport and so on. While uploading the documents, the users must ensure that they are of excellent quality and all the information is clearly visible. In addition to the documents, users should also provide their personal information like name, country, age, gender and upload a selfie by holding the ID. This is standard KYC (Know Your Customer) and AML (Anti-Money Laundering) procedure. To further increase the withdrawal limit to Level 3, users may contact the Binance support by submitting a ticket to upgrade their level. Select ‘Funds-Deposits‘ located on the top of the page. On the left side, enter the coin/token (eg. BTC) to deposit from the drop-down box. Here, you will be shown the deposit address to which you have to send the cryptocurrency. (eg. BTC). If your wallet has a mobile app, then you can scan the barcode to get the address. Otherwise, you have to copy this address and paste it on your wallet to send the coins. To know the status of your deposit, navigate to Funds-Transaction History located on your account page. Users can trade a large number of cryptocurrencies on the Binance Exchange with a nominal trading fee. To do so, users must hold any of the four trading currencies (BTC, BNB, ETH, USDT), since Binance doesn’t accept deposits using fiat currencies. Therefore, users should buy one of these cryptos from other exchanges like Coinbase, Coinbase Pro, Changelly, Coinmama or similar, to start their trading on Binance. Binance offers two types of modes to buy/trade cryptos: Basic and Advanced. The Basic mode is intended for novice traders, whereas, serious or professional traders can make use of the Advanced exchange. 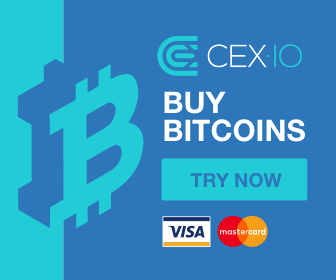 Choose Exchange – Basic located near the top left of your account page. On the right-hand side of the page, you can see a box filled with cryptocurrencies and their price. Above that box, you can choose any of the markets (BTC/ETH/BNB/USDT). In this example, the option ETH is selected. Then, to select Bitcoin, search ‘BTC’ on the search box provided below and click on the result ETH/BTC. In the trading graph below, you will find the Buy/Sell section with different types of orders (Market, Limit, Stop-Limit). Click the Market tab. Enter either the amount of BTC you would like to buy or the amount of ETH you would like to trade. Then click the ‘Buy’ or ‘Sell’ button accordingly. Congratulations! You have placed your first order for Bitcoins using ETH. You should receive them on your wallet within 5-30 minutes once the transaction gets completed. Follow Steps 1 to 3 from the previous section. Select the BTC market. Then, to select ETH, search ‘ETH’ on the search box provided below and click on the result ETH/BTC. Enter the amount of ETH you would like to buy. Then click the ‘Buy ETH’ button. Follow Steps 1 to 3 from the section on How to Buy Bitcoin. Select the BNB market. Then, to select ETC, search ‘ETC’ on the search box provided below and click on the result ETC/BNB. Enter the amount of ETC you would like to buy and click the ‘Buy ETC’ button. Congratulations! You have placed your first order for ETC. You should receive them on your wallet within 5-30 minutes once the transaction gets completed. Select the BTC market. Then, to select LTC, search ‘LTC’ on the search box provided below and click on the result LTC/BTC. Enter the amount of LTC you would like to buy and click the ‘Buy LTC’ button. Select the BTC market. Then, to select BCC, search ‘BCC’ on the search box provided below and click on the result BCC/BTC. Enter the amount of BCC you would like to buy and click the ‘Buy BCC’ button. Congratulations! You have placed your first order for BCC. You should receive them on your wallet within 5-30 minutes once the transaction gets completed. Since the Binance exchange doesn’t deal with fiat currencies, the users cannot sell the cryptocurrencies and withdraw the amount to the bank account. Instead, they can only withdraw or send the coins to another compatible wallet dependning on the cryptocurrency. Select Funds-Withdrawals located on the top of the page. On the left-hand side, enter the coin/token to withdraw from the drop-down box. Copy your wallet’s public address and paste it, enter the amount and click the ‘Submit’ button. Then, you will receive a confirmation email from Binance to your registered email address. Once you click the confirmation link on that email, your withdrawal request will be processed. To know the status of your withdrawal request, navigate to Funds-Transaction History located on your account page. Binance exchange allows its members to buy a large number of altcoins and cryptocurrency tokens. It offers trading pairs in BTC, ETH, BNB and USDT. Bitcoin (BTC), Ethereum (ETH), Litecoin (LTC), Ethereum Classic (ETC), Bitcoin Cash (BCH), Dash (DASH), Ripple (XRP), Tether USD (USDT), Bytecoin (BCN), Monero (XMR), Cardano (ADA), Binance Coin (BNB), Quantstamp (QSP), NEM (XEM), Steem (STEEM), Ardor (ARDR), Stratis (STRAT), Augur (REP), Zcash (ZEC), Golem (GNT), Waves (WAVES), Qtum (QTUM), EOS token (EOS), 0x Protocol (ZRX), Bitcoin Diamond (BCD), Bitcoin Gold (BTG), ICONOMI (ICN), Dent (DENT), TrueUSD (TUSD), Nexus (NXS), NEO (NEO), Status (SNT), Bancor (BNT), NeoGas (GAS), Bytom (BTM), Walton (WTC), Loopring (LRC), TRON (TRX), SONM (SNM), Verge (XVG), Centra (CTR), Substratum (SUB), Metal (MTL), Everex (EVX), Ark (ARK), Modum (MOD), Storj (STORJ), Nuls (NULS), Agrello (DLT), Basic Attention Token (BAT). Binance exchange accepts users from almost all countries in the world including the UK, EU, US, Australia, and Canada. Based on the information available on its official website, Binance has not blocked any country from exchanging/buying the cryptocurrencies on its platform. Every cryptocurrency exchange will have its own fee structure and limits, and Binance is not an exception. In general, a 0.1% trading fee is applied. Based on the user’s 30-day trading volume and BNB (Binance Coin) balance, the maker/taker fee varies from 0.015% to 0.075%. If the trading fee is paid using BNB, then a discount of 50% is applied during the 1st year, then it goes down to 25% for the 2nd, 12.5% for the 3rd and finally 6.75 for the 4th. On the 5th year no discounts will be applied if using the BNB coin. Binance announced these changes on July 2018. Binance exchange doesn’t charge any fees to deposit cryptocurrencies nor does it have a minimum deposit limit. However, the withdrawal fees and the minimum withdrawal vary based on the cryptocurrency. 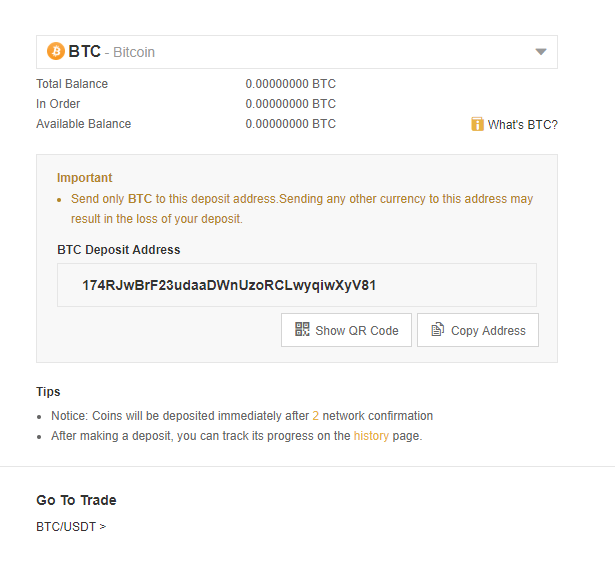 For BTC, it a 0.002BTC minimum withdrawal with a fixed fee of 0.0005BTC (roughly €2.80 or $3). Check out their Fees’ Schedule (as explained above) to get detailed information about the list of fees deducted by Binance for various cryptocurrencies. There is no limit on the amount of cryptocurrency that can be deposited on Binance. Based on the level of the user and cryptocurrency, the withdrawal limit varies. To know the minimum withdrawal limit for all the cryptocurrencies on Binance, check out https://www.binance.com/en/fee/schedule. Limits are only applicable on the daily trading volume based on the verification level, and on the withdrawal limit based on the cryptocurrency being withdrawn. Binance exchange doesn’t allow the customers to buy cryptocurrencies using fiat-based payment options like credit card, debit card, SEPA transfer or Paypal. It accepts only cryptocurrency-based deposits. Otherwise, it will not be possible to receive the 2FA code and the user will have to use the Google Authenticator option. To identify the emails from phishing websites (websites whose URL looks very similar to the Binance website), the Binance exchange provides a feature called Anti-Phishing Code. To implement it, users have to set a code (4-20 non-special characters) once during the initial configuration of their accounts. After that, this code will appear in all the emails which are sent by the Binance. This way, users can clearly identify a fake website in order to protect their funds as the code wouldn’t match. In case, if you experience any issues with your account, the only way to contact their support team is by clicking on ‘Support‘ and then ‘Submit Request‘ respectively. Even though Binance exchange is available on social media platforms like Facebook, Twitter etc, they don’t provide customer support through those channels. Generally, the customer support of Binance is considered very slow/sluggish when compared with other exchanges. To buy/trade cryptocurrencies on the go, Binance users can download the Binance mobile app which is available for both iOS and Android platforms. To download Binance for iOS visit this site. To download Binance for Android visit this site. Binance exchange has recently launched its first crypto-fiat exchange in Uganda. Binance is also developing its own decentralized exchange. Even though Binance supports 100+ trading pairs and accepts members from almost any country in the world, it doesn’t accept fiat-based payments like Coinbase. Regarding the fees, Binance is considered better due to its low trading fees when compared with Coinbase. Both the exchanges offer good security to the customer’s funds using advanced security features. Despite the good trading volume and liquidity of both the exchanges, Coinbase is a popular choice among the traders as it is regulated, licensed and provides insurance for the customer’s digital assets. Binance doesn’t accept fiat currencies like EUR, USD or GBP in order to buy cryptocurrencies whereas Bitfinex accepts the fiat payments via bank transfer. The trading fee is more or less the same on Binance and Bitfinex. However, Binance offers an additional discount if the user pays the fees using Binance Coin (BNB). Both the exchanges don’t require any documents to start trading and have a mobile app to buy cryptos on the go. Even though Bitfinex offers more advanced security features than Binance, it has lost a considerable amount of trust from the traders after the big hack in 2016. This Binance review clearly indicates that Binance users can trade a large number of cryptocurrencies with ease using this exchange. By providing both the Basic and Advanced trading screens, Binance has succeeded in its attempt to satisfy both the novice and the professional traders. It charges a marginal trading fees when compared with other exchanges. The good thing about the Binance exchange is its user-friendly mobile app which helps both the iOS and Android users to trade cryptocurrencies on the go. The only drawback of Binance is that it doesn’t accept any fiat currency to buy the digital currencies however that is deemed to change as Biance plans to open a FIAT to crypto exchange as well. 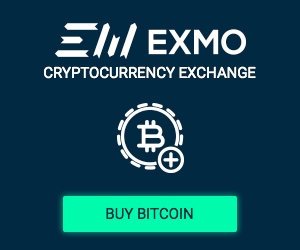 EXMO is a UK based Bitcoin Exchange which was launched in 2013 by EXMO Finance LLP.